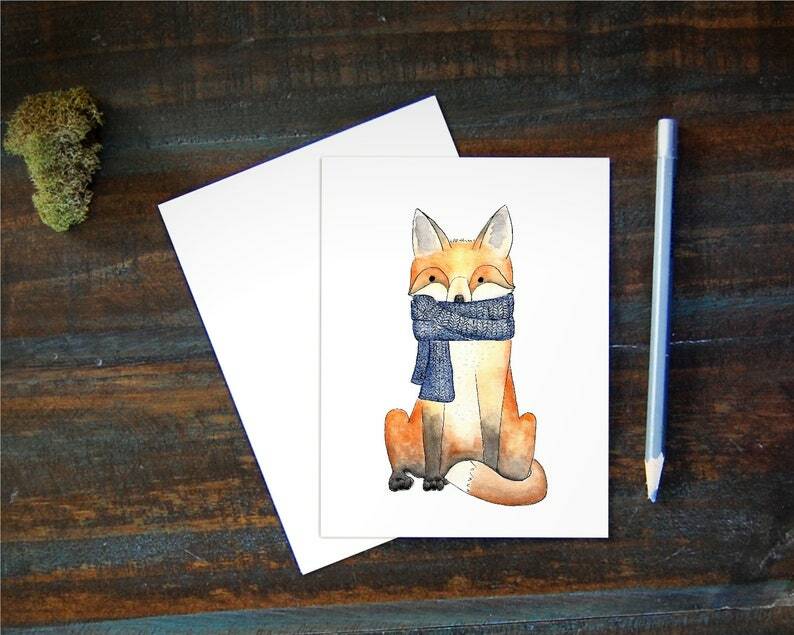 A sweet winter fox in a cozy scarf looking for a warm place to snuggle. She is a folded woodland notecard and blank inside so suitable for any occasion. 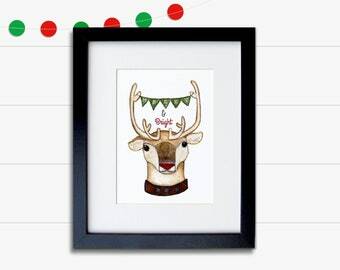 Take her to a housewarming, use as a holiday card, gift with your handmade knitwear, or gift to a fox fan. This fox illustration is from my watercolor animals collection. I painted her, scanned, turned her into a card and had her professionally printed on thick textured card stock. Enjoy this little greeting anytime of the year!